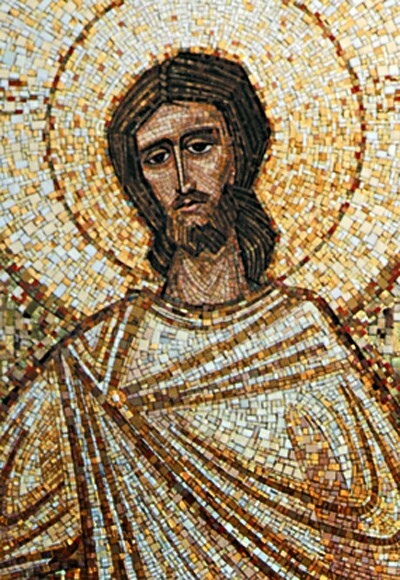 To design a 17-foot tall mosaic for the reredos in St. Dominic Catholic Church, Brookfield, Wisconsin. 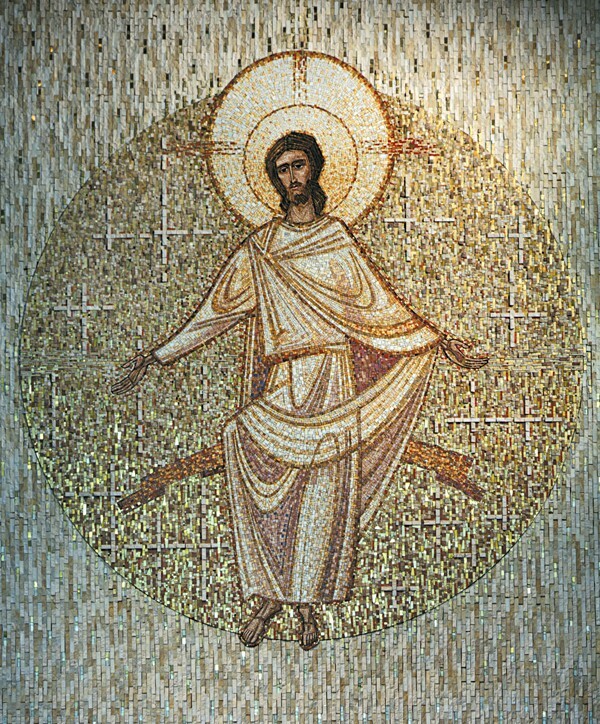 Conrad Schmitt Studios designed a mosaic depicting a Risen Christ in a unique, seated position. 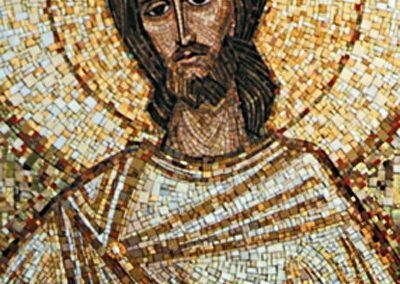 The mosaic pieces were cut in various shapes and sizes and were composed of varied gold and travertine tessera and Venetian glass. Vertical striations of gold tessera link the circular mosaic background to the central figure.